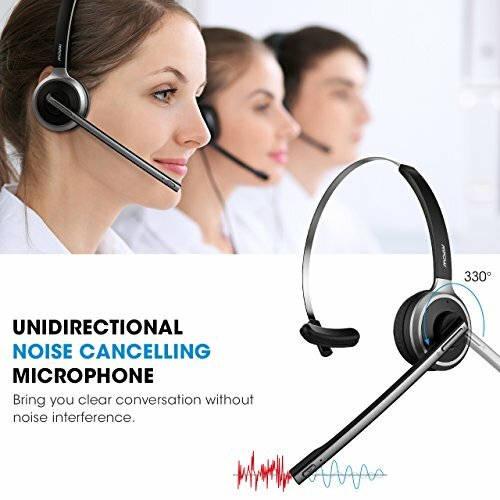 Clear Conversations & Natural-Sounding Audio -- You will get the hear-and-be-heard advantages of a Mpow headset, thanks to advanced undirectional noise reduction microphone technology and fast stable Bluetooth V4.1 transmission. Lightweight Comfort All Day Long -- The headset weights 0.11lb (lightweight as an egg). 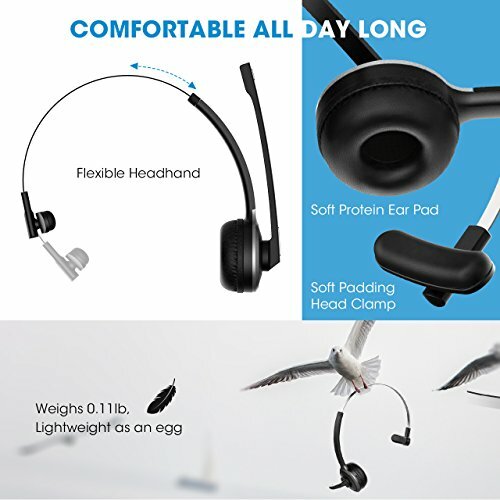 With breathable protein earmuffs, the headset gently hug ear and allow you to wear for hours at time without getting a headache or sweaty ears. 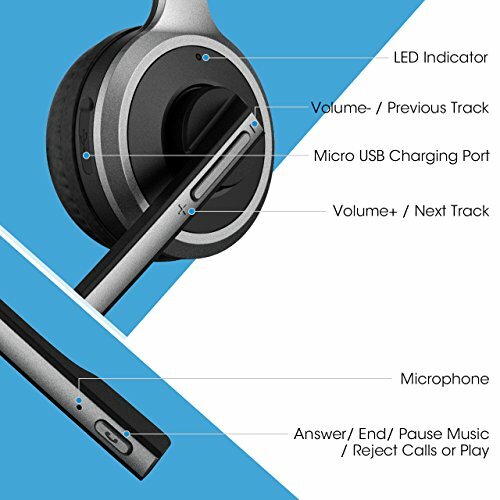 Up To 13 Hrs Talking Time -- 180mAh battery offers up to 13 hours continuous talking time/ 11 hours music time (Full Volume)/ 160 hours standby time with a single charge of 2 hours. 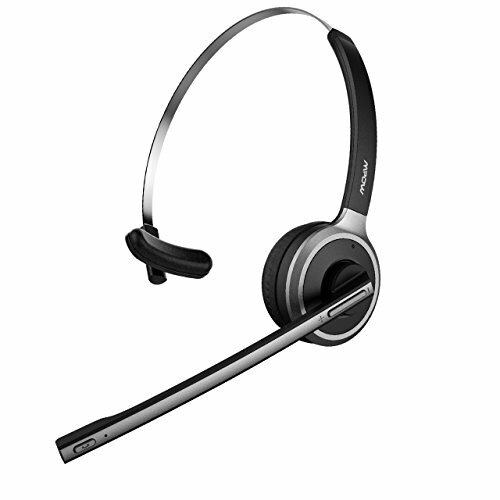 Ultimate Wireless Freedom -- Support voice command. 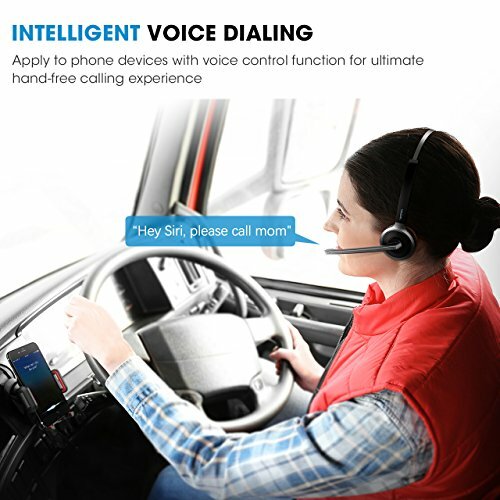 Answer/ hang-up calls through one-touch controls button. Double-click the button to redial the last number called. Built-in Incoming calls and low battery reminder prevent missing any calls. 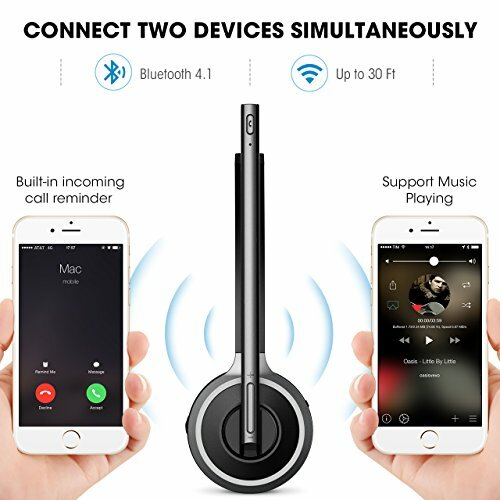 Multipoint & Media Playing Support -- Support connecting two devices at the same time and listening to music. Mpow offers 45 days money back & 18-month worry-free guarantee. Note: Please adjust the volume of your phone when you still feel not loud enough even you've reached the highest volume on the headset.